20/20 reports that State Farm may have been up to some hanky panky after Katrina. Then State Farm responded. Sounds like Susan Q. Hood is using lawyer speak. Pretty sad. Now I've been a loyal State Farm customer for 30 years now. Katrina was and is a huge event and as such, much fraud. And I don't care how well run your organization is, there will be over zealous people who don't do the right thing. But it's how you respond that is important. I'm perplexed that I had to dig through 3 levels in State Farm's web site just to find the press release. More importantly, nowhere do they talk about an internal investigation into these allegations. Because they want to do the right thing. And where is Edward B. Rust Jr., head of State Farm? Today's lesson. If you get skewered by a national news organization, don't hide behind your lawyers. Come out and be outraged, not about the report, but the fact that anyone in your organization could do such a thing. And take care of it. Talk is cheap. Now here's the ironic part. Coming up in November, State Farm's Susan Hood is giving a talk. Susan Hood, Senior Vice President of Claims, State Farm Ins. Co.
Moderator: Michael Matlock, Ph.D., Agency Vice President & Chief Compliance Officer, State Farm Ins. Co. Hear one company’s story of critical lessons learned in responding to some of the largest catastrophes in our nation’s history. The establishment of proven methods of success and best business practices can impact your brand positively or negatively based on the speed and quality of your response to the unexpected. Hear about how systems and people resources can be fully integrated to achieve your stated objectives ultimately allowing you to meet the needs of your customers and recover from the unexpected. In the meantime, I'm thinking about moving my business elsewhere unless State Farm decides to investigate. I've always thought it important to stay focused. Clear and consistent in early stage companies is critical. People have to know who you are, what you do, and feel your sincerity. Got sent a link to this great article "The Punk Rock Brand". 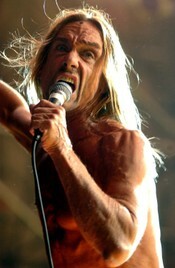 Iggy Pop's music for a cruise line ad campaign? How punk rock is that? Never sell out or it's over. It's ok to be controversial. No, I'm not talking about the cars but the waiting room. 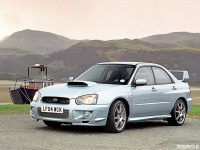 Living in the mountains there are a lot of Subarus around and lets face it, you do have to bring it into the shop every now and then. I'm sure you're use to the soothing music, the blaring TV and the really old magazines. But here in Salt Lake at Nate Wade, they have wireless, wired and a computer if you forgot yours. And they have desks with actual power outlets. And yes, that's where I am now waiting to hear the hopefully good news. Update: Mitch came by, it's a wheel bearing. At least it wasn't the axle. By now everyone is familiar with all those web site hosting packages. Many of them have lots of goodies to help improve web traffic. But some of these hosting sites can also be used to run applications you install on them. I've had real good luck with aplus.net. You can get the Unix hosting plan (I like the solo XR) for $10 a month. Here's the good stuff. You get 3 mysql databases and the latest versions of PHP (unlike other vendors like iPowerweb). iPowerweb has been having some uptime issues lately also. Here's where the fun starts. Many of you don't have good project management tools or CRM systems. Or your IS department has installed some very complicated system and it just isn't working for you. We all need a nice project management tool. But commercial versions just can be too restrictive or complicated to learn and use. So hop on over to SourceForge and download a copy of WebCollab. Unzip it onto your computer and ftp it onto your hosting site whose URL can be anything you want; it doesn't have to have anything to do with your company. Then follow the installation instructions. Yes, you may have to get your hands dirty modifying some of the PHP script, but someone you know can help you. WebCollab allows you to set up and share projects, upload files and even have a discussion forum. And since it is open source it costs you zip. Another favorite is SugarCRM. This is a full bodied CRM system and although it is pretty sales oriented, you can use it to plan and track marketing campaigns and projects. And the cost? Open source. Plus if you like it, there are people out there who will customize it for you for a fee. And there is a commercial version available with a lot more bells and whistles if you choose. Make sure you install your applications in different places in your web directory. Using subdomains can be helpful here. Then if the application isn't working for you, delete the mysql database and the directories and try something else. Hey, there's no registry to worry about. All the really interesting stuff runs on Linux / Unix. But the web hosting service shields all those nasty commands from you with some slick web based interfaces. Think about it, for $10 / month you can have three full blown applications running for your entire group. Now that's a deal. And you're not shelling out money to the likes of Saleforce.com. Which is what Dr. Lanning's holograph said to Del Spooner in the iRobot movie. Which is what we need to be sure we're doing in marketing. Great story and a lesson in it for us all. Make sure you really understand the benefit the customer is striving to obtain. It may be out of bounds for your product. Then you can either hunt for the correct type of customers for your product, or perhaps it is time to change directions. Buggy whips turned into steering wheels after all.